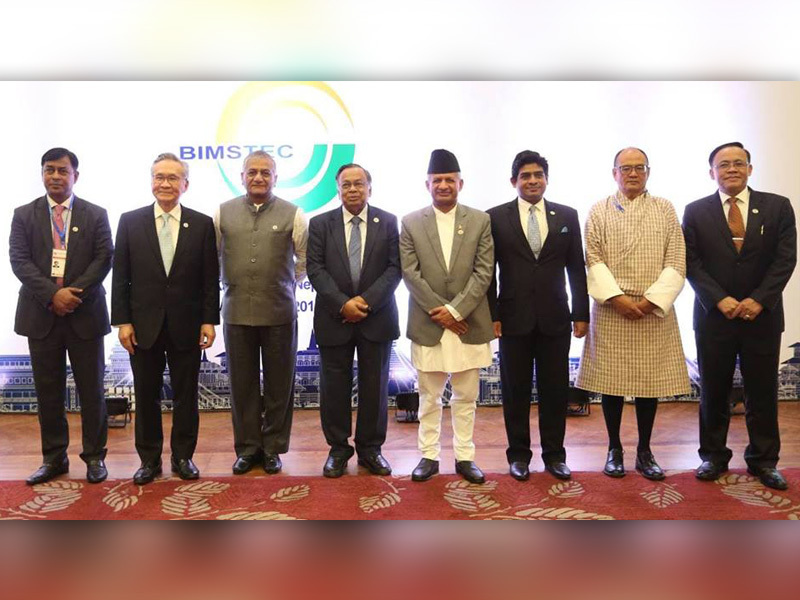 Ahead of the long-awaited Bengal Initiative for Multi-Sectoral Technical and Economic Cooperation (BIMSTEC) meeting, senior officials of the BIMSTEC group joined for a special meeting in Kathmandu on August 18, 2018. As the reports say, the higher officials’ meeting was part of preparations for the upcoming two-day BIMSTEC summit scheduled for August 30-31, 2018. The meeting, headed by Secretary at the Ministry of Foreign Affairs, Shanker Das Bairagi, saw senior officials from the Ministries of Foreign/External Affairs of the BIMSTEC member nations. The meeting is focused on preparations for the BIMSTEC Summit, says Bairagi. During the meeting, the officials focused on 14 areas of priorities including energy, tourism, trade & investment, transport & communications, agriculture & poverty alleviation, counter-terrorism, public health & environment and natural disaster & climate change set by the member states. Ahead of the ministerial meeting on the side-lines of BIMSTEC 2018, the Prime Minister of Nepal KP Sharma Oli made some key announcements about the Summit on August 28, 2018. 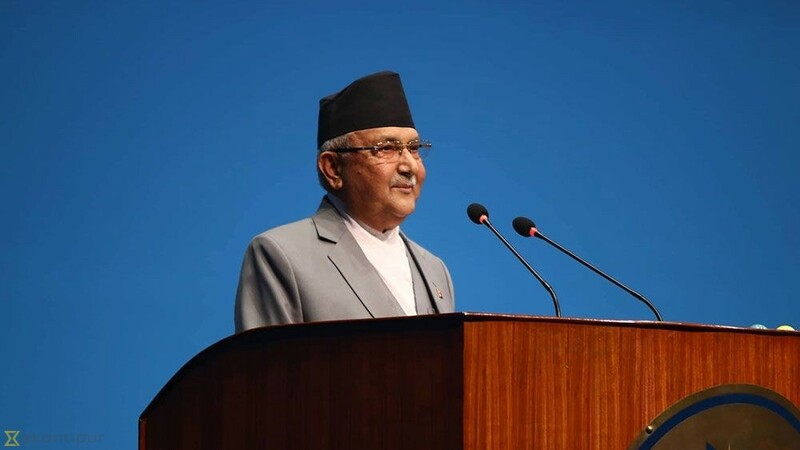 In his address to the Parliament, Oli informed lawmakers and other parliamentarians about the government-level preparations and agendas of the BIMSTEC Summit. Stating that the Summit is being held under the theme ‘Towards Peaceful, Prosperous and Sustainable Bay of Bengal Region, Oli said the BIMSTEC 2018 will enhance economic cooperation and connectivity in key areas such as energy and transportation including railways and airways, among others. 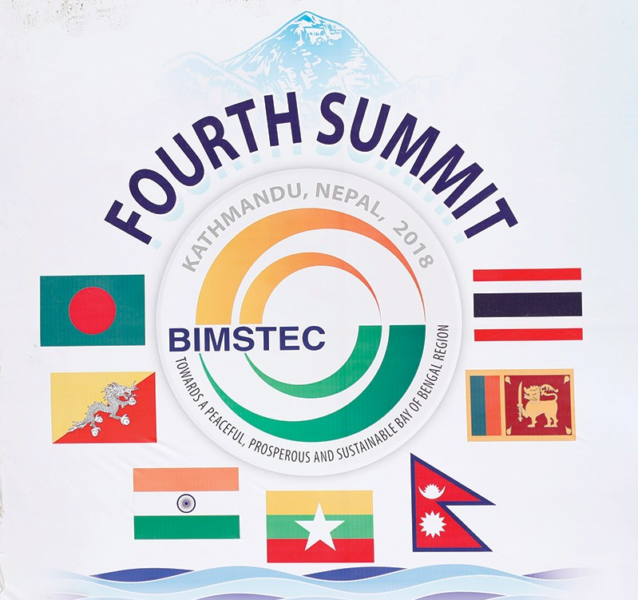 Oli informed that the 2018 edition of BIMSTEC Summit has integrated two additional priority sectors—Blue Economy and Mountain Economy—to the existing 14 key areas that BIMSTEC already has in its list. PM said the issues pertaining to trade, environment, connectivity and campaigns against organized crime will top the list of agendas in BIMSTEC 2018 meeting, which will also see the members agreeing upon a BIMSTEC Charter to address the same. Oli expressed hope that the Summit will help Nepal in boosting its ties with neighbors & beyond, and also coordinate with world nations to fight poverty. Visiting heads of various governments and BIMSTEC member nations will also hold meetings with President Bidya Devi Bhandari as part of their visit to BIMSTEC 2018, Oli added. As Oli says, this is the first such meeting being organized after the formation of the new government post successful completion of the long-awaited three-tier elections. “Though BIMSTEC should be held every two years, we are holding the meet for the fourth time, albeit it has been 20 years since BIMSTEC was established. We started preparations for the BIMSTEC meet after the formation of new government,” Oli told the Parliament. The first BIMSTEC meet was held in Thailand in 1997, followed by the next one in India in 2008 and lastly in Myanmar in 2014. According to the Indian External Foreign Affairs Ministry, BIMSTEC 2018 will also focus on counter- terrorism, enhancing regional connectivity and trade. They feel that a push for Free Trade Agreement (FTA) and regional connectivity will have a major role to play in the Summit. We regard BIMSTEC as gateway to seas of littoral states as well as access for two land-locked member countries Bhutan and Nepal. 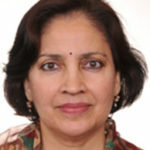 For India, BIMSTEC is a natural choice to fulfil our key foreign policy priorities of neighbourhood first and act east policy, says Preeti Saran, Secretary East in Ministry of External Affairs (MEA). As the reports say, members are little dissatisfied about the pace of progress pertaining to FTA. Heads of Missions of the BIMSTEC member states have reportedly raised concerns over the same at a recently-held Federation of Indian Chambers of Commerce and Industry (FICCI) seminar last week, stating that the BIMSTEC-FTA has not been concluded even after the framework finalization that happened 13 years ago. “We need to find a way to deal with emerging powers in Indo-Pacific and regional groupings to provide strength in numbers. So, multilateralism is important. BIMSTEC and ASEAN can be part of Indo-Pacific regional architecture,” reads a statement by Chutintorn Gongsakdi, Ambassador of Thailand, reportedly made at a recent interaction on August 25, 2018. As part of its security measures, the government is also deploying around 30,000 security forces to safeguard the BIMSTEC Summit. The special forces include officials from the National Intelligence Department along with 8000 personnel from Nepali Army, 13,000 from Nepali Police and 6,000 Armed Police Force. Security and transport sub-committee headed by the Home Ministry is working on detailed security plan in coordination with security forces. 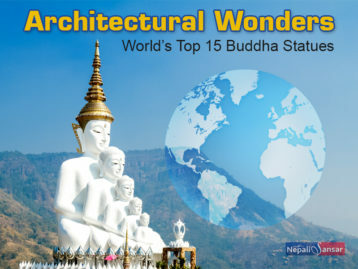 On the other hand, special forces have already beefed up their security measures and vigilance check-ups across moving transport, border areas, Tribhuvan International Airport and major hotel stays. 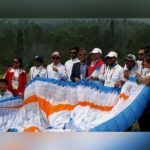 The government is also preparing to declare no-fly-zone over the stays where the arriving foreign delegates would be residing at, a day ahead of the Summit. “We are also conducting a threat analysis of VIPs. The Nepal Police, in close coordination with their counterparts of the participating nations, has taken a detailed account of the leaders’ activities in the last six months,” informed an official part of the security planning. The government is also keeping a close watch on air traffic movement at the Tribhuvan International Airport (TIA) beginning from August 29, 2018, in view of the VVIP arrivals for the Summit. As traffic movement is expected to be affected, we are well prepared to keep the airport open 24 hours for two consecutive days if airlines ask us to do so,” informed Raj Kumar Chettri, General Manager of TIA. Chettri informed that the airport has already issued notices to the carriers about the VVIP movement. According to TIA, the flight movement will be severely affected on August 30, 2018 due to the arrivals of the Heads of States from India, Bangladesh and Thailand. “We are yet to confirm the date and time of the departure of the VVIPs. “We have aimed to process the first flights from 6am. Starting an hour early will ease traffic congestion to some extent, adds Chettri, who feels that that the impact could continue till September 01, 2018. As part of health-related support, the government also formed the ‘Health Emergency and Disaster Management Unit’ that has a 11-member committee headed by the Ministry of Health & Population (MoHP) Secretary Dr Pushpa Chaudhary. The country’s renowned Bir Hospital, in coordination with other local hospitals, has also set up temporary health camps along with Onsite Logistic Ambulance (OLA) on standby. As part of safety and security measures, Nepal Government is also strengthening logistics and other aspects of management. Overall, the government has reportedly invested around Rs 916,150 as part of health security procedures for the Summit and has also commanded 78 satellite hospitals to address emergency health issues. Meanwhile, the Government of Nepal has also made key announcements as part of its preparations for the BIMSTEC Summit 2018. As the reports say, the government has reportedly asked the country’s top VIPs to handover their vehicles to assist the government in facilitating the safe and secure movement for the heads of different states during their visit to the country for the 4th BIMSTEC Summit. “We decided to make use of our own resources as such vehicles are expensive and will not be used frequently once the summit ends. Some of the vehicles are already being colored. Tinted glasses are being fit in all vehicles,” said an official. Meanwhile, Indian Government has also stepped up its support to Nepal in its preparations for BIMSTEC Summit. India lent three highly-sophisticated, fully-armoured cars to Nepal to be used for the heads of the states coming for Summit on August 30-31, 2018. The Indian Aircraft C-17 on August 25, 2018 brought three BMW bulletproof cars from New Delhi to Kathmandu, which the Nepal Government will return post the Summit. Following this, another Indian Aircraft IL-76 MD an additional armored vehicle to Kathmandu to be used for Indian Prime Minister Narendra Modi during his BIMSTEC visit. The government has already fixed on some high-end vehicles, currently being used by Nepali ministers and other officials, for the visiting foreign ministers and secretaries. The special arrangements also include nine Mercedes Benz cars gifted by Qatar in 2016. 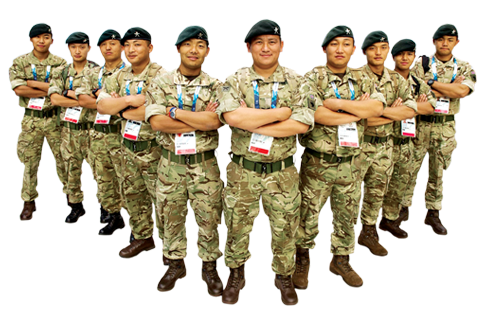 Learning from the past experiences from the past conferences, Nepal is planning big for this summit with a full-fledged assessment and security deployment, along with intelligence, emergency evacuation and action plan. 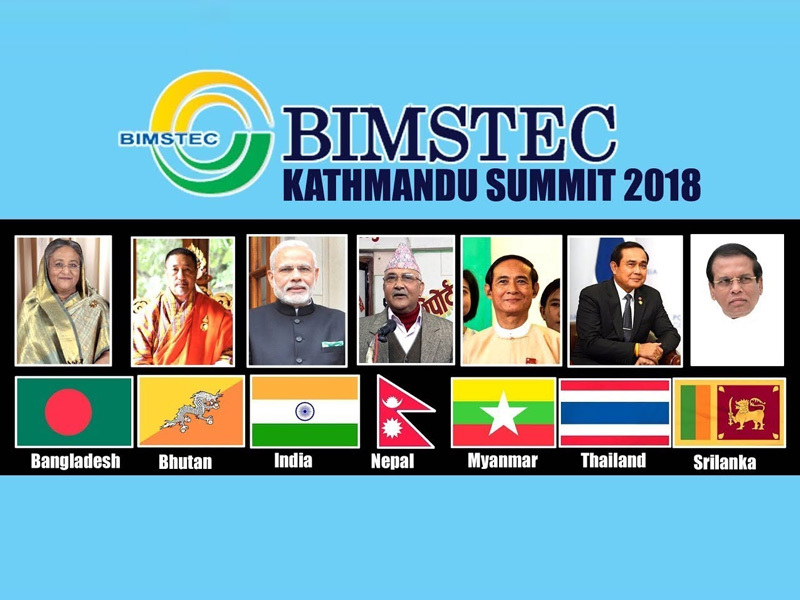 Prime Minister of India Narendra Modi, President of Sri Lanka Maithripala Sirisena, Prime Minister of Bhutan Tshering Tobgay, Prime Minister of Bangladesh Sheikh Hasina, Prime Minister of Thailand Prayut Chan-o-Cha and President of Myanmar Win Myint are among key dignitaries attending the BIMSTEC Summit in Nepal. BIMSTEC body, formed two years ago, acts as a sub-regional body with key focus on enhancing economic & technical cooperation among the southern and Southeast countries of Asia along the Bay of Bengal coast. 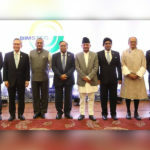 BIMSTEC Summit 2018: 16th BIMSTEC Ministerial Meet Kicks Off!